I often find myself writing about the much needed synergy between sales and marketing. In fact, most of my posts at some point or another mention the need for the two to work together. Why? After being on both sides of the coin, I understand the need for both and the success that comes when the two work side-by-side. So, when I was speaking with a friend the other day and he said that the marketing team at his company drove him crazy and didn’t really do much, I had to protest. I asked him why. He said that it was his job to find his customers and that marketing played no part. I then asked him how he was able to get such big customers like Amazon and Zulily. He responded, “Because we are a nationally recognized packaging company.” Aha. Well, therein lies the rub. So, how does a company become a nationally recognized brand without marketing? Yea, that’s what I thought. Sales all the sudden become just a little bit easier when backed by a well-recognized brand standing in the background. Does your company have tons of happy customers? Share what people are saying about you. Case studies and testimonials are great tools to help show your leads you are a trusted brand with many loyal fans. Nothing screams authenticity like a real customer success story. Marketing takes the time to get those testimonials and write up those case studies, so use them to your advantage. Instead of calling your lead every other day, why not drop them into a drip campaign sending them periodic marketing messages to help drive them down your sales funnel. Emails are a less aggressive way to show your lead how your company can help them achieve their goals. Each of your emails should contain a call-to-action so that it is easy to signup or find out more about your product/service. No, you do not have to stalk your leads to find out what they like. Let your sales and marketing platform do it for you! Marketing software will tell you what emails your leads are opening, what blogs they are reading, which website pages they are visiting, and more. If your lead has been actively searching your website and opening your emails, chances are they are hot and someone who should be pursued by sales. Whereas a lead that rarely opens your emails or reads them and never responds, is probably not the most qualified and may need some more nurturing before you try and sell them again. Marketing is a valuable resource for sales, not just for bringing in leads, but for helping supply quality content AND data. With so much competition and with leads having so many choices, having a full toolbox equipped with everything you need to effectively sell will set you apart and significantly increase your chances of success. Want to learn more about marketing and sales working together? Signup for a free GreenRope Demo. 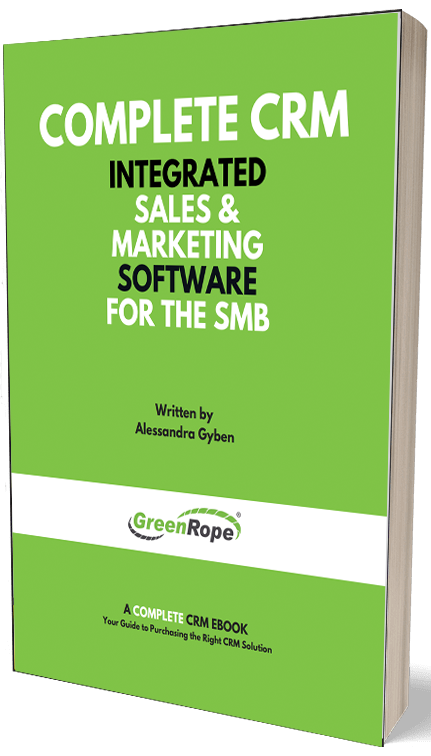 Already a GreenRope user? Watch this webinar!